David Joel Miller is a licensed Marriage and Family Therapist (MFC45390) and Licensed Professional Clinical Counselor (LPCC15) living in Fresno, California, the heart of California’s Central Valley. David has worked extensively in the areas of mental health, substance abuse, and co-occurring disorders. David writes counselorssoapbox.com, a blog on current topics in the mental health, substance abuse, and co-occurring disorders. David has worked with the County Department of Behavioral Health in the crisis unit, substance abuse facilities, and co-occurring programs. He also sees individuals, couples, and families in his private practice. He has worked with children, adults, and families in locked psychiatric settings, residential facilities, and outpatient treatment. Mr. Miller teaches substance abuse counseling courses at the local college. Prior to becoming a licensed Therapist, Mr. Miller worked for a nonprofit agency as a substance abuse counselor. He is a graduate of Fresno State University and San Jose State University. Mr. Miller has presented talks before a variety of community groups and is a certified Mental Health First Aid Trainer. He has written books and a guest column for a bi-weekly paper. Want the latest on news from recoveryland, the field of counseling, my writing projects, speaking and teaching? Please sign up for my newsletter at –Newsletter. I promise not to share your email or to send you spam, and you can unsubscribe at any time. 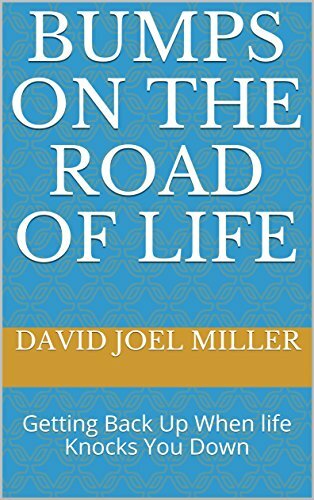 For more about David Joel Miller and my work in the areas of mental health, substance abuse, and Co-occurring disorders see my Facebook author’s page, davidjoelmillerwriter. A list of books I have read and can recommend is over at Recommended Books. If you are in the Fresno California area information about my private practice is at counselorfresno.com. Thanks to all who read this blog. If you enjoy this blog or think others might enjoy it please click on one or more of the “Like” or “Share” buttons on this page. I write for a blog over at Exploring Mindfulness, and I was wondering if you’d be interested in guest posting for us! We may not have a lot of followers right now but those that we do have are very active and participative. If you’re interested take a look and go to the About the Authors page, send us a message using the form there, and I’ll get in touch with you via email. with more info :). Thanks for that suggestion. I will check out the blog and see about writing a post for you. The new semester just started so I am way busy just now but if I can find the time writing some guest posts is definitely on my to do list. Hello David, i ended up reading your article on hyperthymic personality while doing research on a manic psychotic episode that my son had, brought on by energy drinks. It mentioned a similar case by someone and that the mother was hyperthymic, so I followed that lead (as I seemed to fit the profile) and after reading your understanding of the trait, have to say I really do slot into the description very nicely. You seemed to have some questions on exercise and light that interested me. I need dark to sleep yes, but I really do need lots of light and fresh air and exercise to keep my vibrational level normal and to sleep well. I have not been doing enough of that lately due to a back injury and been occupying myself with eating instead so have gained a lot of weight. Reading all of this makes be realise it’s a form of “doing something” in order to release the trapped energy – which is making life hard to cope with so I am becoming increasingly withdrawn and battling to focus. Sleep is also an issue – i tried some sleeping tablets but they gave me hypertension and I had a bit of an episode (screamed and screamed and screamed and lay on the floor which was nice and cool until the blood stopped pounding in my head). I never loose control so this gave me a bit of fright – so no more tabs. But I digress and have to say the exercise and light and dark all have to be kept in balance in order for me to feel normal and not have the feeling of trapped energy that seems feels like an increased vibrational frequency. Deep breathing and meditation also help me to keep calm. Interesting that I seem to run hotter than other people. Thank you for allowing me to get an insight been an interesting train of thought – and I am going to start and exercise program today and get out of the house more (work from home). and going to stop doing so much community work(seems this is a big way to irritate people) and going to make a new friend to have chilled fun with. Thanks for the comment. Sounds like you have some plans. Keep working on yourself.Best wishes. Hello David, and thank you for the link to your article, I’m fortunate to have the chance to read your postings! Always grateful to find new teachers and more sources of information that will expand my knowledge in helping roles. Thank you so much for all that you share through your writings! It is always nice to hear that something I have written was helpful or of interest. Thanks for commenting and best wishes. many thanks for the follow on http://www.postsofhypnoticsuggestion.wordpress.com, it’s much appreciated. Intersting blog you have – I’m following you back! Hi David – I am in consideration for a MH job and it requires me to be able to bill MediCal for services. I recently moved from Georgia where I was fully licensed as a LPC. I am an exam away from becoming a LPCC but I am beginning to understand this licensure may not give me full authorities similar to LMFT or LCSW, and this is very frustrating. I saw a recent post from you about LPCCs being able to bill MediCal for MH services “soon” and I wanted to know if you had an update on that or better yet, where I can track the progress myself or even get involved. There is no other information out there on these incredibly important issues, so thank you for staying on top of it! I would appreciate any information on this – Thanks again. Hi Melissa, Welcome to California and thanks for your comment. I would strongly urge you to join CALPPC, which is the state wide organization for LPCC’s and PCC interns. They have some public information but a lot of what you will want is the updates in the member’s only section. Information on legislation and regulations is one member benefit that is well worth the cost of membership. I am on the CALPCC board which meets once per month but the executive director is much more up to date on developments than I am. My belief is that the LPCC license was created because of the tremendous need for more mental health services here in California and elsewhere. I am licensed as an LMFT. I also elected to take the exam and become an LPCC. I believe there are differences in the scope of practice and there are things LPCC’s can do to help clients. Currently LPCC’s are not able to bill Medical. They can bill Medicaid (federal program.) So they are being hired at VA and other federal facilities. We expect that very soon LPCC’s will be able to bill Medical but just when that is I have heard no date. As with all government rules and regulations we will probably know it when it happens and not before. Until that happens I do not expect most agencies to hire an LPCC if they need that person to bill Medical. Some LPCC’s are currently working in Substance abuse facilities and in Rehabilitation agencies. Some are in private practice. CALPCC is currently surveying insurance companies in an effort to find out which will put LPCC’s on their insurance panels. Currently some will, some will not and many are in the process of updating their policies to include LPCC’s. While I can’t give you a “when” answer, my suggestion to you is join CALPCC, become involved, consider participating in or helping with the regional meetings CALPCC is starting and keep your fingers crossed that the officials who decide these things get it done soon. Thank you for the information, David. It’s remarkable how different states view different disciplines. I will be joining CALPCC in the near future. Thank you for the information, David. It’s remarkable how differently states view each discipline. I’ll be joining CALPCC in the near future. Thanks for the comment. Good luck on your blog. Yours is another topic that needs coverage. I have got something for you here, please check! Thank you for your article on support meetings for family members. I am the Webmaster for Florida Region of Nar-Anon and wanted to notify you that the link provided in the article for Nar-Anon does not work. The correct url for the Nar-Anon World Service Organization is http://www.nar-anon.org/Nar-Anon/Nar-Anon_Home.html . In addition, the Florida site is http://naranonfl.org/wordpress/ . Thanks again. Thanks for that information. I will try to get that link fixed. Hi, I came across your blog while looking for mental health topics on the wordpress reader. I am new to the blogging community and I joined because I wanted an outlet to share my experiences working in outpatient community mental health in California, to gather insights and information from others, and to have an outlet to address mental health topics. I have had a chance to look through some of your posts, and I will follow for more interesting posts! Welcome to the blog. Looking forward to your comments. Catherine, thanks for the nice comment on the blog. Keep studying for the exam. Law, ethics and diagnosis are the major things you need to have down to pass. Keep in mind that the exam is not primarily aimed at people who work in government and agencies. The exams heavily emphasis the need to be able to make decisions on your own. What they are testing is your ability to work independently when there is no one to go talk with and you need to make the decisions. All that duty to warn stuff comes from the Tarasoff decision but it has been transformed over time by additional court decisions. Consider taking one of the all-day law and ethics classes. CAMFT or Grossman trainings are two that come to mind. This area is way to complicate for a short blog post. Laws change so quickly and once you are licensed you will need to retake the law and ethics CEU’s every two years to renew your license. The laws are similar but may be different in a jurisdiction other than California. Thanks again for reading and please feel free to leave comments. Thank you, David. The all-day workshops sound great & I’ll give it a try. I appreciate what you’re doing in this blog spot & will follow for updates. I work as a volunteer at the Phoenix Center ( a drop in center for those with mental health recovery challenges), as a facilitator to encourage creative transformation and I would like to share your work with others at the center. I am also planning on taking an extensive Peer Support Training at the end of August to continue to be of service to people interested in recovery. Thanks for your work. Congratulations on your great blog! Hey, I had a thought. Would you like me to put something up about your blogsite and a link or an rss feed on the Change Agent Connection and the Change Agent Connection–FB? People would love it. if so shoot me a message to info@ziapartners.com. Thanks Victoria. I find my cat very “therapeutic” even if she isn’t registered as a therapist. David, I’m an out of state LPCC-intern. I received the majority of my hours in another state. The hours I earned were as a contracted therapist at an agency. The agency worked just like many others: I received supervision weekly and only saw clients through that agency. It was just cheaper for the agency to pay me that way, fewer taxes and whatnot. Now, CA has a law where you can’t be a intern and be a contractor, does that mean the BBS won’t accept my hours? A person from the BBS said that as long as my hours were “substantially equivalent” to California, they had some flexibility. Have you encountered anyone else with this same issue? Interesting question. You may need to talk with an attorney on this. My understanding is that if it was legal in the other state then it would be accepted here. If your state of origin requires a license to counsel then you cannot become a contracted counselor unless you had a license. You could not contract to do surgery for a doctor if you were not a licensed physician. Lots of businesses get themselves in trouble by making people contracted providers when those people should have been employees. If they controlled when and how you did things and you worked under someone else license you do not sound like an Independence contractor. Regardless of the tax issues the question for licensure should be: Did you have a licensed supervisor who oversaw your work and signed for your hours.Was it in a setting that was legal to do counseling? If it was at a non profit you might be able to sign a volunteer agreement and see clients for BBS hours even if you did not get paid. I have seen a few people who tried to work in private practice and wanted to charge the clients and pay for the office by the hour. That would not be allowed as an intern because you cant have a private practice without a license. I have not seen this with people who came into California from other states. Best of luck on this.